I don't know if you already know, but October is National Pizza Month. About ninety-three percent of Americans have pizza at least once a month, but whether you fall into that group or you rarely eat pizza, now is the time to plan how you want to make October special. Fortunately, there are several things you can do to celebrate your love of pizza. Try a new pizza. Although it could be fun to try a pizza with an unusual topping, you do not necessarily have to venture too far out of your pizza comfort zone. For example, if you are normally a pepperoni pizza person, try Hawaiian. If you like plain cheese, put some veggies on your pizza. Host a pizza party at your house. 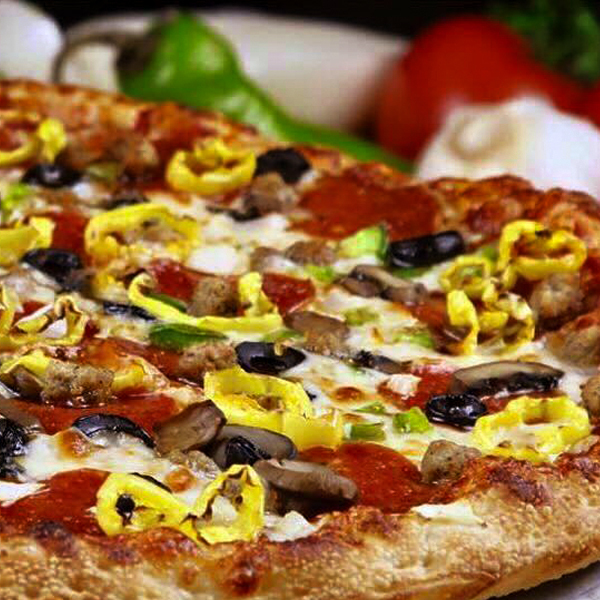 Purchase a variety of pizzas or make it a potluck pizza party with guests bringing their favorite pizza. You can have it be only pizza, or you can include other foods, such as breadsticks, salads, chips, cookies, or other foods. Make pizza from scratch at home. Look-up a pizza dough recipe and cook your own pizza, using your favorite toppings and putting just the right amount of each topping on your pizza. You can make a large pizza for your whole family or make smaller pizzas for each person. If you do not want to make the dough yourself, make English muffin pizzas or buy the premade pizza crust. Of course, these are just three examples of things you can do to celebrate National Pizza Month. Celebrate it in your own way. You could make it as simple as eating more pizza than you would normally. If you rarely eat pizza, eat it at least once or twice in October. If you need help with your National Pizza Month celebration, contact us. We have a variety of delicious pizza choices as well as other great food and drink options to go along with your pizza.